A limited liability company is a popular business entity owned by one or more persons. An LLC combines the limited liability of a corporation with the flexible management and taxation of a partnership. In North Dakota, an LLC is formed upon filing articles of organization with the Secretary of State. You may fill out and file your own paperwork, or you may use an online legal documentation service. Before registering your LLC, you must choose a name for the business and determine if the name is available. The name of an LLC must include the words "Limited Liability Company," or "LLC." Your LLC may not share a name with any other registered business in the state. To see if your preferred name is available, you may use the online Business Records Search tool on the North Dakota Secretary of State's website. If the name is available, you have the option to reserve the name before registering the company, although it is not a requirement. To reserve the name, file a Trade Name Registration with the Secretary of State. Doing so will prevent any other business from registering the same name. Once you have selected a name, you may officially form your LLC by filing articles of organization with the Secretary of State. The articles must include the name of the organization, the address of the business, and the name and address of each organizer. Further, you must select a registered agent, or the individual who will be responsible for accepting legal documents on behalf of the LLC. You may indicate that the LLC registration will be effective as soon as the state receives the paperwork, or you may select a date up to 90 days in the future. The articles of organization must be filed with the Secretary of State and include the appropriate fee. Although not a legal requirement, LLCs may draft an operating agreement. The agreement may provide how the business will be managed and include information related to how new owners may be added to the business, how decisions will be made, and how profits will be distributed among the owners. 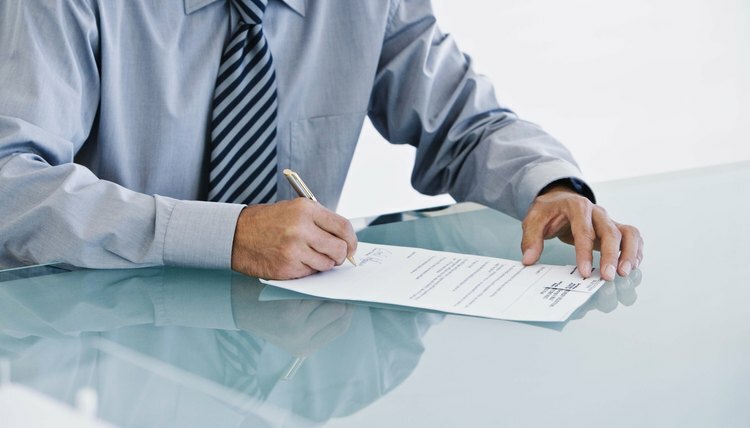 You are not required to file the operating agreement with the state, but you may keep it at the place of business to allow owners to review the agreement. The Internal Revenue Services requires LLCs to elect to be treated as a corporation, partnership or sole proprietorship for tax purposes. To be treated as a corporation, you must file Form 8832, Entity Classification Election, with the IRS. If you do not make a selection, LLCs with more than one owner will be treated as a partnership, while an LLC owned by one person will be treated as a sole proprietorship. Partnerships and sole proprietorships report business income on personal tax returns and do not pay corporate income tax. Some LLCs may pursue further registration with the IRS and the state, depending on the type and size of the business. If your LLC is classified as a corporation or a partnership, or you have employees, you must register for an Employer Identification Number with the IRS. Additionally, certain types of businesses must acquire licenses from the state, including those that sell alcohol, fireworks or gaming equipment. Check with the offices of the Attorney General and Secretary of State to verify if your business requires further licensing. Finally, some cities may require businesses to acquire local licenses or permits. Contact your county auditor or clerk for more information about local permitting. Elizabeth Rayne earned her J.D. from Penn State University and has been practicing law since 2009, advising clients on issues ranging from employment law to nonprofit management. For two years, she served as a contributing editor for the "Vermont Environmental Monitor." Rayne, Elizabeth. "How to Form a North Dakota LLC." , https://legalbeagle.com/form-north-dakota-llc-24705.html. Accessed 21 April 2019.